The popularity and appeal of biking in the Albany area continues to grow! Tourists, local residents, and businesses alike can enjoy all of the wonderful benefits that Empire State bike trails have to offer. 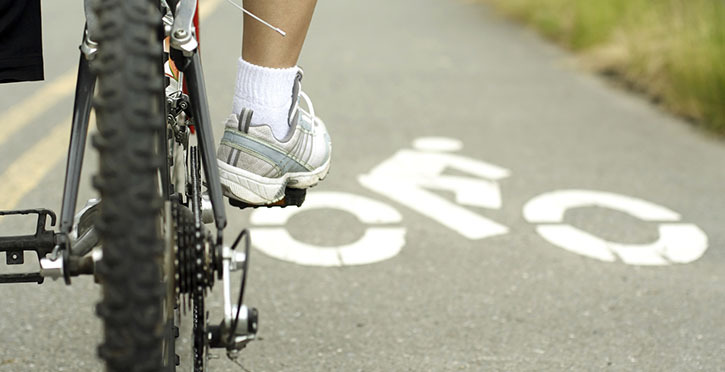 Biking in Albany is a favorite pastime, especially for beginning cyclists and families. The John Boyd Thatcher State Park offers a scenic trail system with all types of terrain just fifteen miles west of Albany. Its twelve-mile stretch rewards bikers with beautiful views of the Hudson and Mohawk Valley region, the Adirondacks, and the Green Mountains. At the scenic Grafton Lakes State Park, 25 miles of multiple-use trails are available for walking and biking. The Albany Pine Bush Preserve offers twenty miles of marked, multi-use trails. Located between the cities of Albany and Schenectady, they offer a variety of gentle terrain from wide open sandy trails to narrow, grassy woodland trails. The Capital Region is also home to major bike tours like Cycling the Erie Canal. A week-long, four-hundred-mile trek, this tour begins in Buffalo and ends right here in Albany! The successes and challenges of participating in biking events have spurred an interest in growing and maintaining the area's entire network of accessible trails. Signage and kiosks along the way offer local information, along with easy access to shops, Albany restaurants, and other local businesses!